For those who are already reasonably prepared, perhaps one of the biggest concerns is the reaction and behavior of the unprepared. When it all comes crashing down, whether it’s a sudden or drawn-out decent into collapse conditions during the Great Reset, the question is how will people react during this time of great turmoil? Today we live in a world largely filled with a human sub species of zombies who are largely unaware and ignorant of the ‘real’ world around them. You’ve seen these poor, lifeless beings everywhere. People… if you can still call them that… with pallid, emotionless faces, staring down at small screens while they walk direction-less down the street, completely unaware of their surroundings. Additionally, people in general suffer from a severe case of normalcy bias. Their perception of reality is influenced and filtered by their past, and expectations are such that things will remain on a given course (because it always has been that way – in their experience). Life has been exceedingly (comparatively) easy during these past decades. Food and distribution is plentiful and available nearly everywhere – technology has softened our lives and has changed the way we live – we are living in relative peace time – we are entertained in countless ways – and things will always be this way… right? What if part or all of this was stripped away? What would they do? People can’t grasp or even contemplate that seemingly absurd new reality. We have been living for decades within a system with all sorts of safety nets. There are tens of millions of people who rely on these safety nets and there are tens of millions more who know how to play the system and extract from the safety nets. What will these people do if their sustenance is slashed or eliminated? After having lived a portion of their lives feeding off .gov, how will they cope afterwards? How will they react? Those who have become accustomed to living life on debt are going to be hurt badly. That said, everyone is going to be hurt. What are all these people going to do and how are they going to react when credit freezes up and our systems of distribution lock up? We have entered into a global deflationary period, which is THE most frightening thing for central bankers. Despite the false and rosy ‘numbers’ that have been reported since the so called ‘recovery’ since 2008, they’ve reached the end where it can no longer be covered up. They have run out of ‘ammo’. They also ‘will not lose’, so what they will do is enter into a ‘Great Reset’ – which has already begun. RELATED: FEMA Denies Camps Are Planned “Herding Points” For Proud Patriots. But Their Plan Is Actually Worse! A question to consider is “When will people become desperate?”. Then adjust that question to be “Why will people become desperate”, “How will…”. It is the desperate (unprepared) who may (will) become a problem. Perhaps wildly unpredictable and even dangerous. When? When their lives are disrupted to the point of desperation. Some (many) much sooner from fear of their new reality. Why? Because they have not adequately prepared for themselves an ‘insurance policy’ of sorts to ride the storm. How? How they become desperate or how they will react is highly variable and will depend on where they live, what they need, their surroundings, whether they can get any assistance at all, what they know, their ability to adapt and overcome (or not), their personality, their will power (or lack of), their physical abilities, their tangible assets (or lack of), etc..
What’s your opinion of how people will react? Additionally, do you believe that the government will be able to control it (the reactions of the people)? Will their be political upheaval? 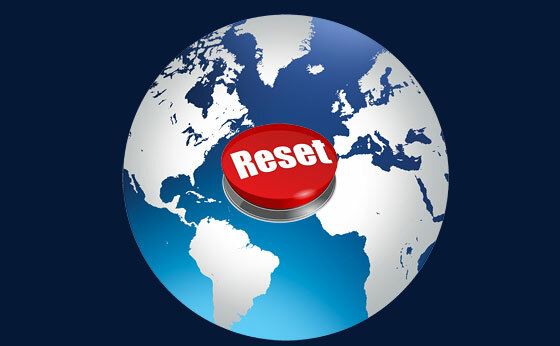 The banks might get a reset, the federal government might get a reset, governments all around the world might get a reset, county, state, city government might get a reset. BUT you and me we will still owe for our stuff, our cars, our homes, our stocks, our toys we will owe and owe and owe until they put us in a FEMA camp when we have no place left to go. Yes, we are being warned. No doubt about. If you are WISE (as the Bible says) you ought to know what you should be doing.